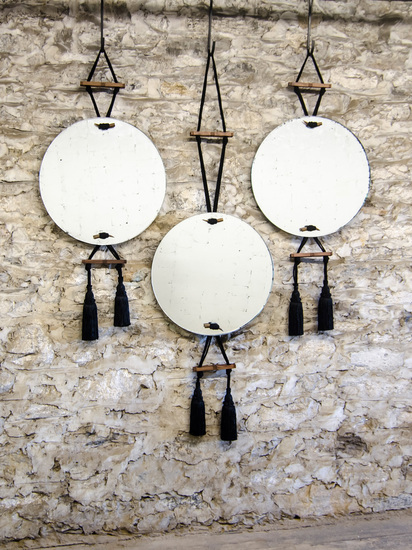 The Carlo mirror exudes a tribal feel, thanks to the totemic quality of its rope, tassel and horn toggle. Glass with Eglomise (silver leaf), rope & tassel, walnut trim and horn toggle. Starfire mirror can be substituted for eglomise. additional colors, materials and dimensions available. Sold individually.